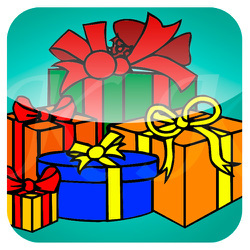 This app is designed to hep you quickly organise a Kris Kringle event. It creates a name list of people participating in a Kris Kringle (a.k.a. Secret Santa) and it determines who is buying gift for whom. It is quick and simple. You input the names and the app automatically put the names into pairs randomly. Quick entry of participant’s names. You can enter their full name, or just their first name, or even a nickname. Draw names randomly. This determines who should buy gift for whom. A quick and fair process. One click will do the trick. Full record of who is buying gift for whom. You can send this list to yourself or someone else. Enter the name. A single text box for quick entry. Click the 'Allocate' button and the names are paired. Email a quick full list to yourself. Email each person quickly using email addresses in your Address Book. Let each people know whom they are to buy the gift for. The app will construct a template email with the necessary information.